Mark your calendar and SAVE the DATE! 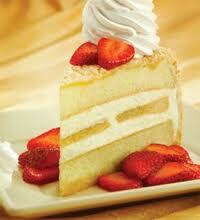 July 30th is National Cheesecake Day and the Cheesecake Factory is ready to celebrate! On July 30th, you can pick any slice of Cheesecake for Half Price. Yum!